Wigan Athletic striker Devante Cole has signed for Burton Albion on a season-long loan deal. Cole, 23, has moved to the Pirelli Stadium for their 2018-19 Sky Bet League One campaign and goes into Nigel Clough’s squad for Saturday’s clash with AFC Wimbledon. 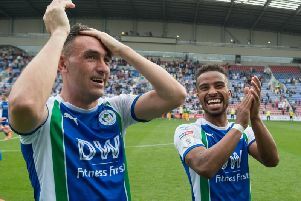 Cole has played six times for Latics since moving to the DW Stadium from Fleetwood Town in January.